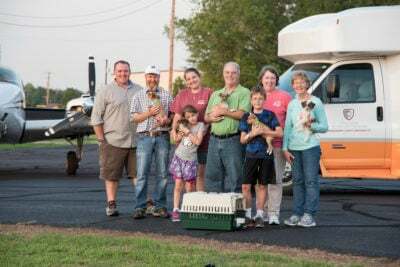 Our transport of the week is a special one with Animal Rescue Flights and Doobert teaming together to help with a very special transport of five pups from Mississippi, up to White Plains, New York. One of the special aspects of this transport is that the last leg was covered by a local NBC station with a production camera and producer filming their last leg to their new rescue for an upcoming series on animal rescue transport. This story will bring attention to the unsung heroes of animal rescue, and Doobert.com and Animal Rescue Flights are proud to be a part of raising awareness to these volunteers and their dedication. 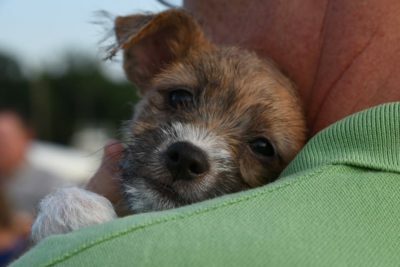 This is the story of five chihuahua mix puppies who, at just five pounds each, were only nine weeks old at the time of their freedom ride transport. These puppies came from a small rescue in Leland, Mississippi, run by a handful of dedicated women, passionate about saving lives. Leland, Mississippi is in an economically depressed area in the Mississippi Delta region, and the Leland animal shelter was in disarray, until Animal Relief and Rescue Fellowship (ARRF), (http://arrf-arrf.org/) stepped in to support their operations. 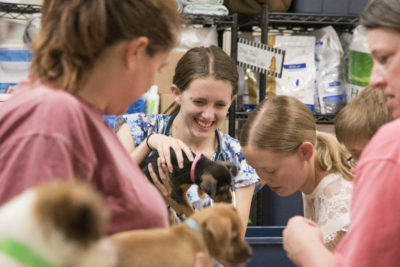 Through a joint effort focused on saving lives, the city of Leland provides the building and an animal control officer, and ARRF provides food, volunteers, veterinary care, and the logistics required for adopting and transporting the animals. The shelter in Mississippi received these five puppies when a local man was arrested under other charges, and was talked into surrendering these pups to their care. Since the pups were only 5 weeks old and in poor condition, the volunteers had their work cut out for them. They had to treat them for their parasite infections, and find them loving foster homes to temporarily care for them while a permanent solution could be located. The original plan was to send them to a partner shelter, the SPCA of Westchester, located in White Plains, New York, on a ground transport supported by dedicated transport volunteers. 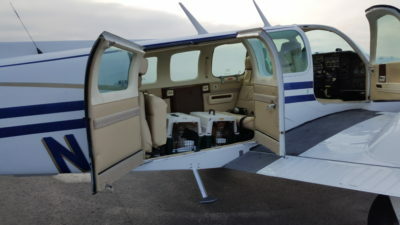 But thanks to Animal Rescue Flights and Doobert.com, the opportunity presented itself to transport these pups by air, through dedicated general aviation volunteers. And, as an added bonus, the SPCA of New York was working with a local NBC affiliate doing a “Clear the Shelters” special series and managed to pair an NBC crew to video this special freedom ride and bring attention to the animal rescue volunteers saving lives every day. On a beautiful Tuesday evening in June, Wayne, one of the Doobert.com pilot volunteers, flew from his home airport in Tennessee to pick up the pups at McCharen airport in Mississippi. He was met at the airport by Terri, one of the volunteers at the shelter, and a team of volunteers, photographers and well-wishers who were excited to participate in their first aviation transport. With the sun setting on the horizon, Wayne lifted off in his Baron for the flight back to Tennessee where he would house the pups for the night before continuing them on their journey the next morning. Despite some early morning fog the next morning, Wayne boarded the pups back into his twin engine Baron and then flew them from Tennessee to Williamsburg-Jamestown Airport in Virginia, where he met up with another dedicated Doobert.com pilot, Nick, who would shepherd them on the next leg of their journey along the eastern seaboard. Nick, also one of the founding members of Animal Rescue Flights, transferred the pups from Wayne’s plane to his and flew these sweet angels to their next stop of their freedom ride, the Cape May Airport in South Jersey. Little did these pups know, that they were about to become TV stars. 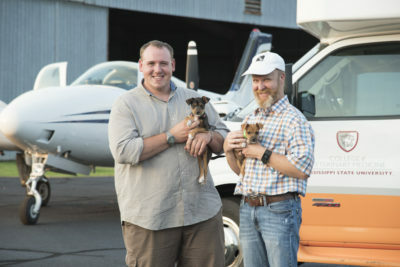 While they were traveling from Virginia to Cape May, Clark, the founder of Animal Rescue Flights and dedicated pilot volunteer, was flying an NBC producer, Kathryn, to meet up with them for their last leg of the journey. Clark & Kathryn flew to meet up with Nick, and they were joined by Jam es who was the volunteer Doobert.com pilot for the final leg of the journey. James, shuttled Kathryn and the pups on their final leg of the journey to White Plains, New York to meet up with the SPCA of Westchester, where these pups will be vetted and put up for adoption to loving forever homes. Doobert.com was proud to be a part of connecting the dedicated volunteers and organizations together to get these animals to their destination. We know that together we can save more animals. A special thanks to all of the volunteers and pilots who made this transport possible, Lisa, Wayne, Terri, Nick, Clark, James, Meagan and Tom. What a great combined effort by the Doobert volunteers and Animal Rescue Flights team. This one transport has the potential to demonstrate how working together we can truly make a difference. Thank you to all of you involved directly or indirectly in saving these animals. I am proud to be able to bring the Doobert Platform to support you! Thank you so very much for all that you have done and continue to do to save and rescue animals in need. 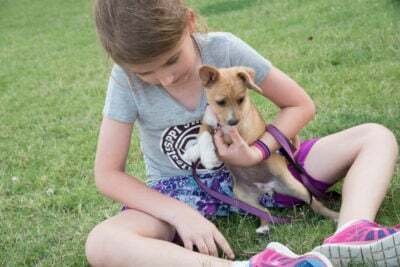 Our family is especially grateful as we have adopted one of the Chihuahua mix puppies that you recently rescued. She was the only one of the group with the fluffy brown and white coat We have named her Luna.. It is heartwarming to see her in the arms of so many dedicated people in your video. She is adapting well with her new big brother who’s also a rescue.